What do the size dimensions refer to? 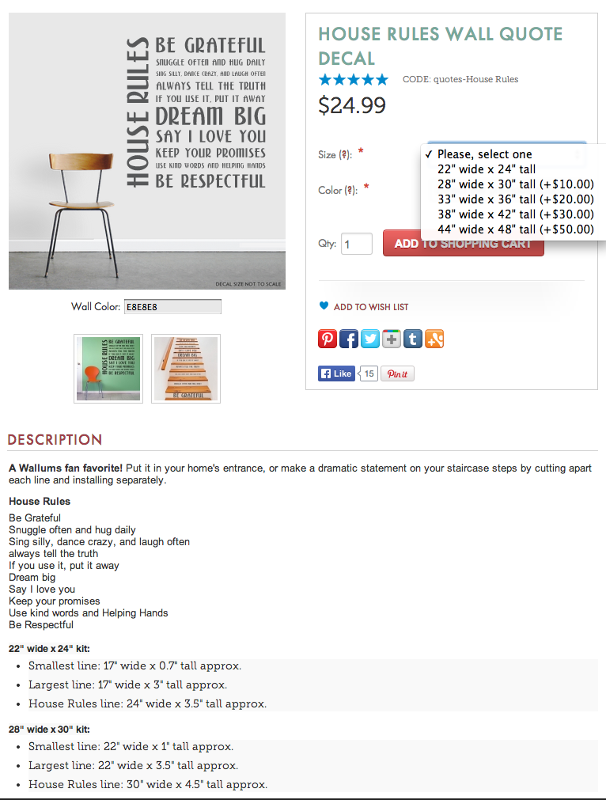 Unless otherwise indicated, the size listed refers to the entire total size of the assembled decal. Say, for instance, you are looking at a design with multiple lines of text such as below, the size of 22" wide x 24" tall refers to the size of the entire design, not each line of text. Whenever possible, we do try to include such information in the description just in case you'd like to do something creative like cut the design apart and install them on staircase steps. If the individual sizes are not listed, please contact us with the design in question and we'd be happy to add them.